Intricate in pattern, the pieces in the Batik collection by Surya are nothing short of eye-catching. The details of this piece were expertly woven on by fabric artisans in India making every piece in this collection a one of a kind item. Made of 55% Linen, 45% Cotton. Spot Clean only. 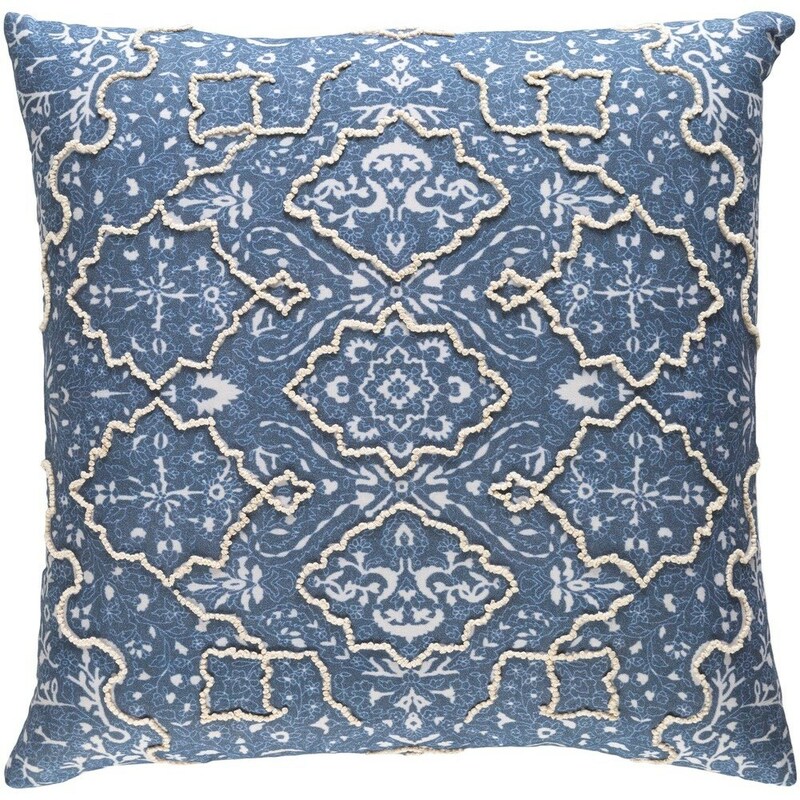 The Batik 22 x 22 x 5 Down Pillow Kit by Surya at Suburban Furniture in the Succasunna, Randolph, Morristown, Northern New Jersey area. Product availability may vary. Contact us for the most current availability on this product. Browse other items in the Batik collection from Suburban Furniture in the Succasunna, Randolph, Morristown, Northern New Jersey area.